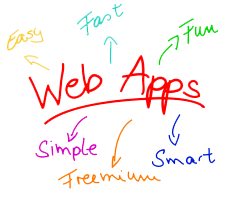 Web Application | BrainSoft Software (P) Ltd. In this world of competition, every other person is trying to get an edge over his competitor by hook or by crook. With such a fierce competition it is a great drawback for a company who doesn’t have a website. So in order to help the company to grow by leaps and bounds, it is a must have entity now a days for a company. A fully fledged website has to undergo various development stages before being published. Very first and most important stage is of designing the website. It is important because it represents your work. The more user friendly and attractive design is, the more it will be fruitful for your business. The designing of website involves conception and collection of web pages. Data Infovision is a Firm that offers professional website design services to its customers and clients in India and abroad.